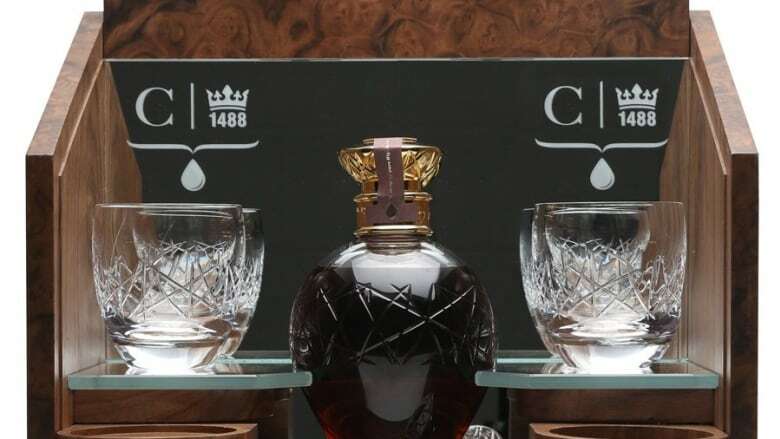 The most expensive whiskey to ever be available for purchase in Saskatchewan—worth $40,000—will be on display at International Whiskey Night in Regina. It's going to be a dream night for whiskey lovers in Regina as the International Whiskey Night takes place at the Conexus Arts Centre Saturday. Although attendees will get to sample whiskeys from around the world and interact with industry experts, there's one very special bottle of whiskey that will be the star of tonight's show. It's the Tullibardine 1952 —a highland single malt scotch that's worth more $40,000 per bottle. It's the most expensive whiskey to ever be available for purchase in Saskatchewan. Ryland Lukiwski is one of the co-founders of Set the Bar, the whiskey distributor responsible for bringing the Tullibardine 1952 to Saskatchewan. He's one of the experts that will be at International Whiskey night, helping to educate visitors all about this very unique bottle of scotch. "It's really exciting," Lukiwski said. "I love whiskey and I love all that it has to offer. It's great to be able to bring these products into Saskatchewan." The Tullibardine 1952 gets its name from the year it was distilled. Then it was aged for 60 years in special barrels until it was finally bottled in 2012. Only 70 bottles are known to exist. Its limited quantities are part of what makes the Tullibardine 1952 so highly coveted among whiskey enthusiasts. "Whiskey collecting is a really interesting thing," said Lukiwski. "As soon as people know that the last bottle has been sold, they really do go up in price." The person who purchases the Tullibardine 1952 will get more than just another bottle of liquor. Not only is the bottle itself quite beautiful, Lukiwski said, but the official seal also allows the owner visit the Tullibardine Distillery in Scotland and sample of the whiskey there. Although a purchase is unlikely tonight, Lukiwski says that it isn't out of the question. He's heard of buyers flying into Canada from all over the world to purchase special bottles of whiskey. $40,000 bottles aside, Lukiwski says that the best part of International Whiskey Night is the the opportunity to learn more about one of the world's most beloved spirits. "You're able to learn the stories. You learn the history of these distilleries and what they're trying to do and that's really exciting," Lukiwski said. "Whiskey making...it's really a labour of love."